An Airidh is a new property situated just a short distance from Dunvegan on the north west part of the island. The property has been equipped and furnished to an extremely high level by the owner, and would make an ideal base for exploring this part of the island. 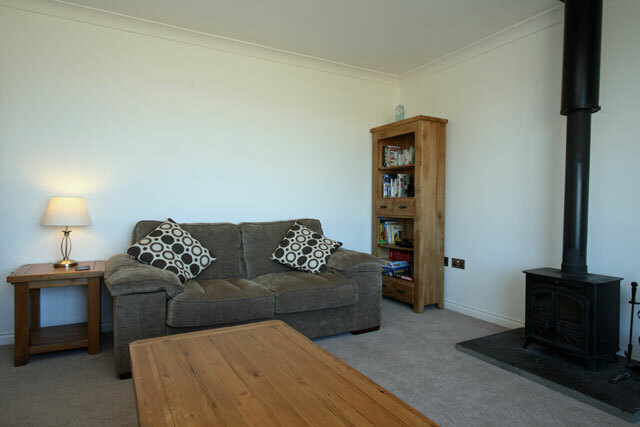 The property is situated on the one level and consists of a lounge with comfortable sofas, flat screen with freesat, DVD, and a wood burner. 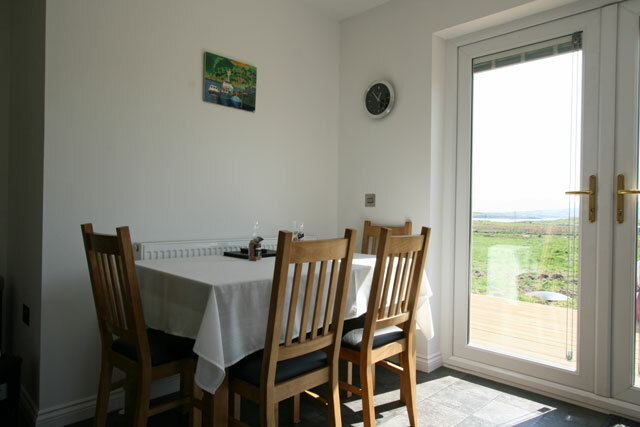 The dining kitchen is well equipped and offers direct access through patio doors to the outside decked area, the views of the Cullin range from here are simply spectacular and the decked area is an ideal place to sit and relax and enjoy the sunsets. 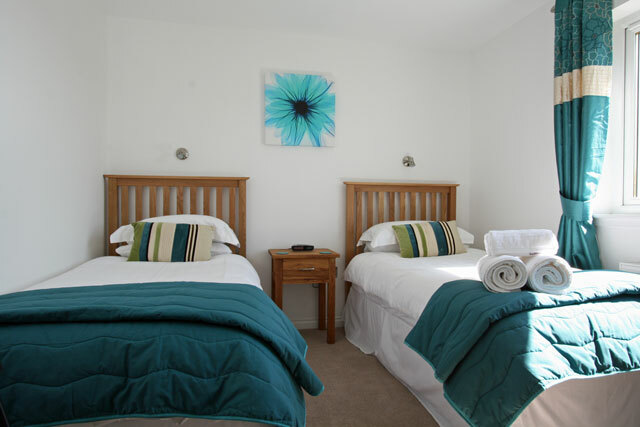 The property has two bedrooms, a master complete with a beautiful en-suite wet room and a twin bedroom. A family bathroom complete with a bath with shower over completes the facilities. Outside the property has a large garden and a separate patio area. The main population centre in the area is Dunvegan, the village lies on the east side of the head of Loch Dunvegan, and is just five miles from An Airidh. The village has a small selection of shops, restaurants and cafes and a useful Tourist Information Centre. A mile north of the village is Dunvegan Castle, the castle is the ancestral home of the Clan Macleod, and is open to the general public from April to October. Full of items of historical interest the castle and the gardens make an ideal day out. 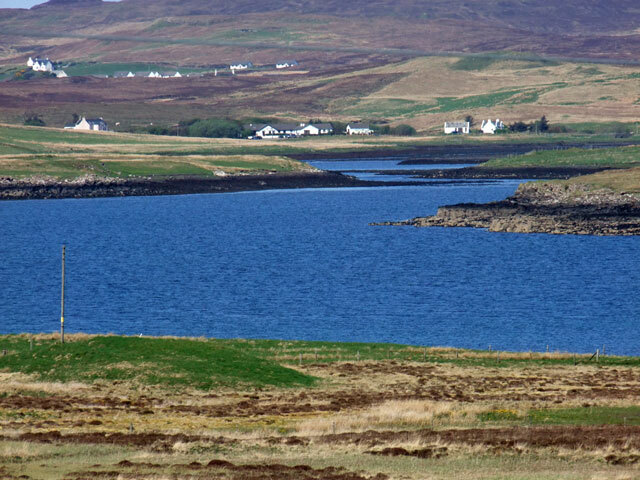 Located west of Dunvegan is an area called the Duirinish Peninsula, the area relatively unspoilt is dominated by the flat topped mountains of Healabhal Mor and Healabhal Beag, or the Macleod’s Tables. The area is home to a lot of native wildlife and is a perfect spot for some hill walking, no matter what your ability. Neist Point with its lighthouse is located in the most western part of the peninsula. The views of the lighthouse and the sea cliffs are some of the most impressive in Skye, and the walk to the lighthouse always a memorable experience. 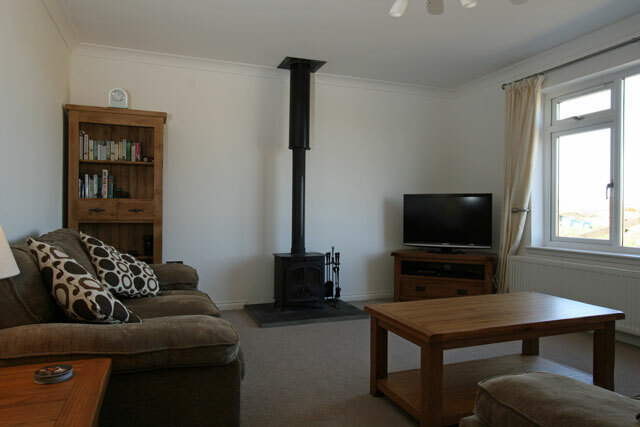 Lounge with wood burning stove, large flat screen digital TV with freesat, DVD, CD, iPod docking station, playstation 3 with a small selection of games, reading material. Sofa bed for additional guest. 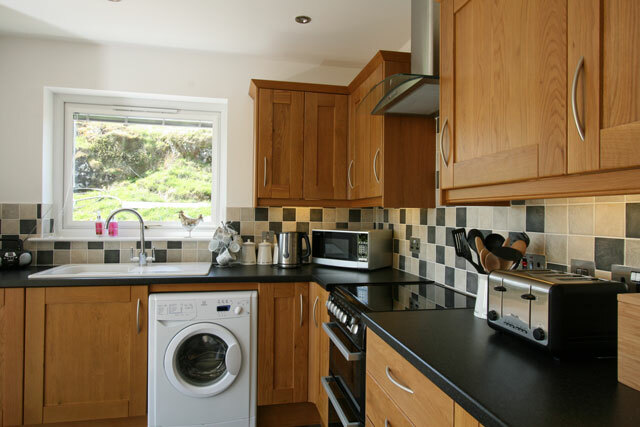 Fully fitted kitchen with electric cooker, fridge/freezer, microwave, dishwasher, washing machine, dining table and chairs for four. 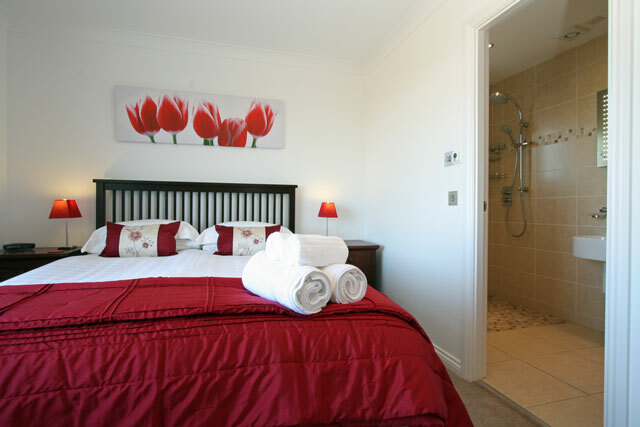 Master bedroom with king size bed, en-suite wet room with shower, wc, whb, heated towel rail. Twin bedroom with views to the Cullin mountains. 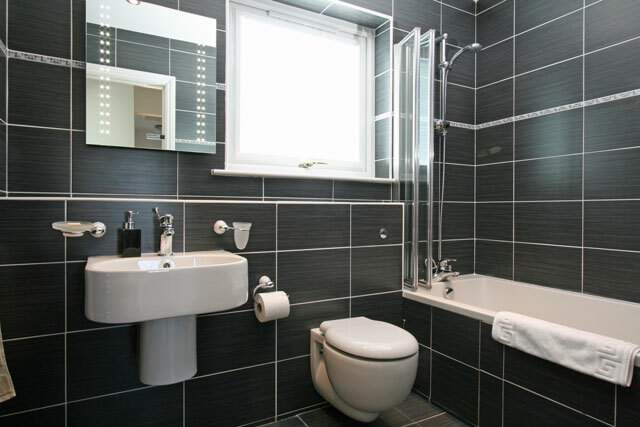 Family bathroom with bath with shower over, wc, whb, heated towel rail. All bed linen, towels, electricity and initial basket of logs for the wood burner, additional baskets can be purchased at £5.00 from the owners. Heating at the property is provided by a ground source heat pump ensuring the house is maintained at all times of year at an ambient temperature. Large garden with decked and patio areas. Modern property tastefully furnished and equipped to a high standard. 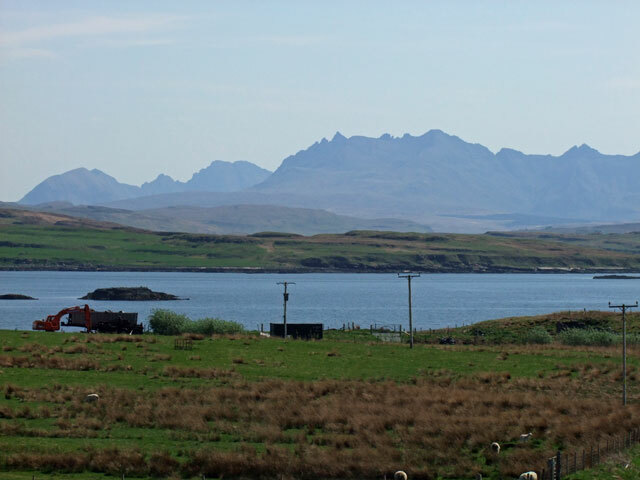 Outstanding views of surrounding countryside including the Cuillin. My girlfriend and I were so comfortable at this lovely cottage.Every detail was thought of and a lovely welcoming basket was provided for us. We had lovely weather too and were able to take advantage of sitting outside on the patio and take in the wonderful Harlosh views.I will most definatley return to this gem.